Pic: Bombay House, the headquarters of the Tata Group (1926). 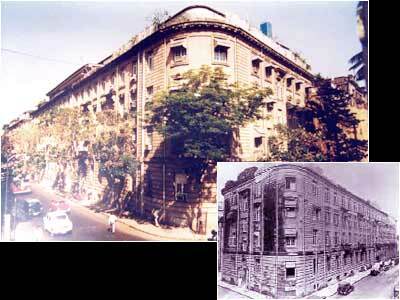 ‘Bombay House‘, the headquarters of the Tata Group — has a fascinating piece of history. In the early 1900s, a plot of ground was put up by the Bombay Municipality for sale in Bombay and purchased by the Tatas. George Wittet, who once a consulting architect to the government and who later joined the Tatas as the head of the then Tata Engineering Company Limited, constructed a building that was completed in July 1924. That became the ‘Bombay House’, the headquarters of the Tata Group. India’s Firstsource acquired MedAssist of U.S.